Cochin the Queen of Arabian Sea welcomes you to the Hotel South Regency, the royal bedroom of her palace. reaching at the south regency you will realise yourself at the heart of kerala, the God's own country. Cochin, the business earth of kerala, where all the travelling means find a board will make your journey at the easiest. cochin is the portal city in which all the internationals transact their cultres, lifestyles, manners and habits. hotel south regency will be your finest place to be part of this exchange and exposure. Location Map (The hotel located in the very heart of the Ernakulam Junction , Cochin ) how to reach south regency is a simple question with many simple answers. the hotel is suffieciently distant from air port and convenintly near by port. it will take only 50 minitues of smooth drive to south regency from the air port. the air port provides a number of domestic flights to the different cities of India and international sky routes to different cities of world nations. The network of railway lines finds a stop in two major railway stations, Ernakulam Junction and Ernakulam Town. many of the trains makes its start here and the rest pass through. only a walking distance is there between the Ernakulam junction and the hotel. Two national high ways - NH 17 to mumbai and NH 49 to Madurai starts from cochin. NH 47 from kanyakumari to salem passes through the heart of cochin. cochin is highly approachable city by many private and public transport services from all the major cities of South India. Cochin welcomes its visitors by sea at the magnificent all weather natural port. the cochin marine and vallarpadam international container terminal is within 5 kilometers reach. 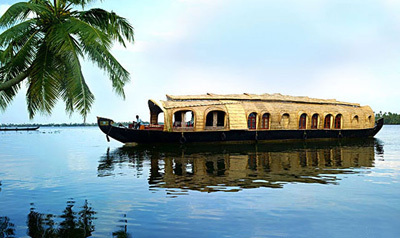 the internal nerves of backwaters provide comfortable ride to natural spots like Allepy and kumarokom. within 3 kilometers of reach, our customers can find easy business transactions through many major banks, stock exchange and RBI. All the prominent departmental stores and jewellery boutiqes are open in the MG road which is 500 meters away from the hotel. the medical assistance is available from leading hospitals-Medical Trust , Lakshmi Hospital , PVS Hospital , Lissie Hospital-at the maximum distance of 3 kms. your stay in the south regency can be a best inn to make many day trips at your choice. Munnar, the green valley of the western ghatt will be a fine option to those who make their interest to be spent in a peaceful weather. 130 kms from the hotel or 3 hrs of drive will take you to Munnar, where you are able to enjoy the beuty of hill stations and tea plantations. the very next day, you can make a trip to an enterely different scenes of nature. Kumarkom, the island of back waters and bird sancutary is 45 kilometers near. The return of your trip from back waters, welcomes you in the next day to Thekkady, where the wind smells the spices. the wild life sanctuary is an astonishing experience and it is at your feet if you are ready for a 3 hrs of travell from the hotel. yet another day, you are going for a fresh up in the waters. the Marari beach and cherai beach, 28 kms away from the hotel will shine your body and mind with the mild rays of sun. the sandals of the beach will heat your body and the tides will cool your body. defintely your stayin the south regency will be a stay between trips and your trips will be from and to south regency. the owners of this palace is definitely not we but you. the homely expereince will ensure you that you are the real masters of the palace. you are welcome. we are waiting.... just only for you.